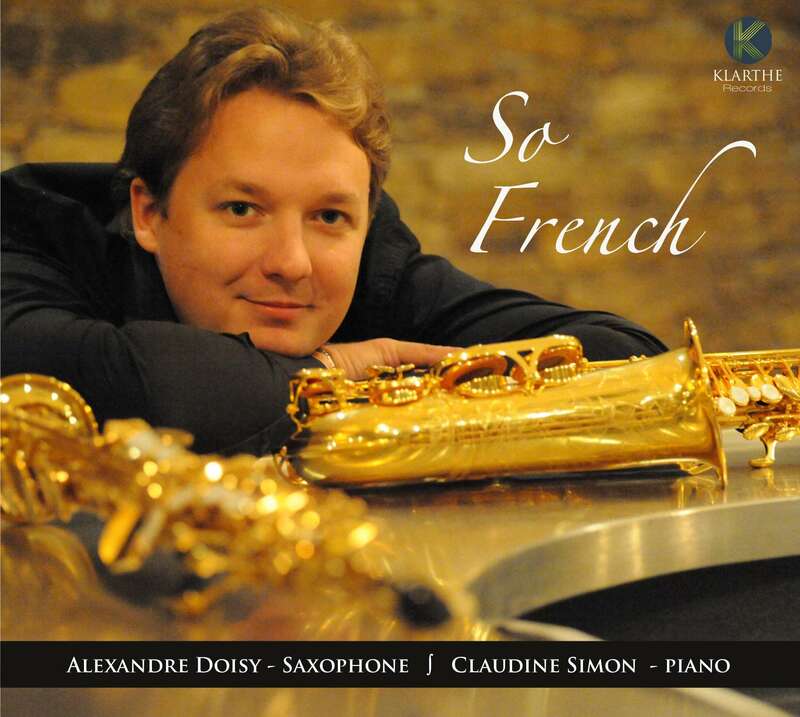 A virtuoso saxophonist, winner of the prestigious international prize at the ARD in Munich, Alexandre Doisy shares with us his musical hit list. These major elements of the repertoire were solicited, in the most part, by the American philanthropist and saxophonist Elise Hall. 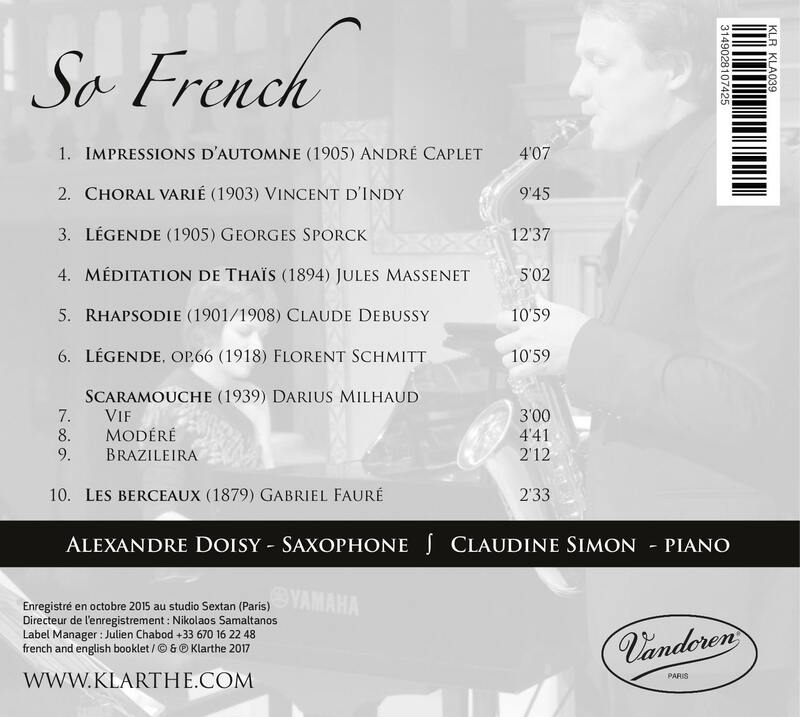 At the beginning of the twentieth century, it was she who commissioned Impressions d'automne from André Caplet, the Choral Varié from Vincent d'Indy, the Légende from Florent Schmitt and, of course, the Rhapsodie from Claude Debussy. La Légende by Georges Sporck, a much rarer work, is also dedicated to Élise Hall.